Home > Ask Our Experts > Can Courts Allow Any Small Claim: Genuine or Not? Q.In the past month I've had two small claims served on my small business for different matters. I've never had any before. They are in Southampton Croyden courts respectively. We are in Essex. Having read the claims we have disputed them as they are easily proved against but how can it be that courts can entertain such things without the claimant having to prove they have a genuine claim in the first place? Also, why is the onus on the defendant to have to travel all the way to another part of the country to defend themselves? It seems to me that anyone can make a claim at any time, anywhere, with no real basis for the claim. Why can't I defend myself locally? Why can't I refute the claim with evidence and have the court rule without having to attend? This must be frustrating for you. If a claim is lodged in a court against you personally (i.e. not against your business) you would have the option of applying to the court to have the case transferred to your home or local court. However, this is not the case with claims lodged against businesses which is why the case generally remains in the claimant’s local court. b)	The claimant has lodged a claim, the defendant does not respond, and the claimant applies for summary judgment.In other words, both sides must have had at least an opportunity to serve documents at court before the court will even consider the merits of the case. Bear in mind that you don't actually have to attend a final hearing in person. Under the Civil Procedure Rules 27.9 if you write to the court, giving at least seven days notice that you are not going to be able to attend in person, and as long as you have served all the documents upon which you intend to rely on the other party at least seven days beforehand, the court will consider your case on the papers alone. Unfortunately, the courts system is subject to abuse. One common method used by criminals is to lodge proceedings for ‘unpaid debts’, whether in a business or personal capacity. The claimant proves that the debt is owed, and the defendant pays back the ‘debt’ to the claimant. It’s a perfect way to launder money. In future, if you consider that there is no real prospect of the claimant succeeding in their claim, you can apply to the court for summary judgment. This is disposal of the case without the need for a full hearing. You would apply to the court using form N244 and providing evidence to support your contention that the claimant’s claim was without merit. More detailed information about summary judgment can be found on the ‘Summary Judgment’ page on this site. If you were persistently sued by one person, who had no real basis to sue you and is merely harassing you (for whatever reason) you would be able to apply to the court to have them made a ‘vexatious litigant.’ What this means is that they are unable to lodge civil proceedings without applying to the court beforehand for permission to do so. This is a very serious step for the court to take because it essentially takes away a fundamental human right, Article 6, the right to a fair trial. You can see a list of all living vexatious litigants, as well as the year in which they were made vexatious by the court, on the HMCS website. I am suing my former landlord for torts of goods as they destroyed my belongings within the 28 days period after they had given me consent to collect them. The defendant is asking for proof which I don't have because they destroyed everything i ever owned. I have been to a hearing and now going to a trial. What i would like to know is what are my chances of winning my case without inadmissible evidence as I'm suing the former landlord for £18 000? @Bobby - you need only show your side of the transfer and who it was transferred to. Your bank should help you verify this. I am the defendant in a case that is going through small claims with a hearing date set for 6th April. The evidence has been submitted to both the court and the claimant which had a deadline of 17th Feb. The case revolves around an alleged debt and the claimant (a debt collectors) has so far failed in their duties under CPR at every turn. I have received a letter from the claimant this morning, in which they have asked me to supply them with proof of my disabilities and my medical conditions as I gave some limited information in my witness/defence statement.They have stated that I should supply them with a Fitness to Work certificate, copies of hospital reports, appointment letters etc so that in their words, they "can fully understand my medical condition".Having already provided proof that I was not working when they stated I was, along with proof that I am on Employment Support Allowance (Support group not Working group i.e. not able to work), I feel that this is far too instrusive and am not certain that they can ask for me to supply this outside of the deadline for evidence date set by the courts service. Can youadvise please? 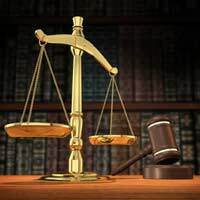 Hi I have got a jjc against someone issued in may 2016 for £35630.00 but no interest was added on by Judge but the debited has informed me that he will not pay me so I have applied for & been granted a Final Charging order & I would like to know can I add on further costs due to applying for a charging order & further interest. @Elliot - I'm afraid we can't really comment on something which by commenting on could affect you decisions. However, given you say he was out of the the 14 day returns policy and that you have evidence that they made the wrong order you have a strong case. Perhaps, it might be worth you contacting a solicitor, or CAB for a bit of constructive advice. I have just received a claim from a customer who purchased a laptop batter from us. He contacted us 17 days later saying that the battery was incorrect and did not fit his laptop and that he wanted to return it. We declined this request as it was outside our 14 day returns policy. This sale was also in the customers business name (B2B) and therefore he is not covered under the consumer contracts regulations, although we would have honoured the return if he had contacted us within the 14 days. He since claimed that it was our fault as we incorrectly listed the this particular battery for his model (the battery is not compatible with his model), but our order details states he actually made the error and chose the incorrect laptop model (not matching his laptop) and therefore the battery we supplied was correct as per his order. Within a few days of his initial contact he has submitted his claim. He has not written a letter before action which I believe is required. The Claimant has also claimed against my trading name. I am a sole trader and there is no mention of my name whatsoever on the claim form. The claimant has provided a web link in his claim to "evidence" but we are reluctant to follow the link as we do not know where this will take us. The link could direct us to malicious code and if evidence is there could be changed at any time but the claimant as he would have control over the contents. We do not know what evidence the claimant has that this is our error and the only evidence that we have is the order details showing the customers details and the product he ordered. the claimant is also claiming £60 for technician costs, although a technician is not required to fit a laptop battery. I'm quite happy to defend this in court, but really don't want to got to the trouble of court for such a trivial matter. So my questions are: 1. How should I respond to this claim? Do I defend it, or do I apply to have the claim struck off based on no letter before action and incorrect defendant named? 2. I may be happy to compromise and offer the customer a refund on return of the battery for the matter to be dropped, but do not want to appear as if I admitting guilt as I am not. Can I use the matters above to my advantage in making an offer? 3. If this goes to court can I apply to have the case heard locally being a sole trader? Had a claim struck out,representing my step-daughter I put myself as claimant.So I have to set aside the order,but also have to apply to substitute or ammend the claimant,which I am doing Monday.I know I have to fill in N244 form,can someone please tell me what I must do and what other paperwork will be required to set all this in motion,unsure what evidence would I need to convince the court.Send all evidence or just bits relevant to prove I should receive a hearing as a representive of the claimant. @AndyN - An appeal that has been struck out or withdrawn might be able to be reinstated. You might have a limited window to appeal, so you need to follow it up asap and find out what you have to do .